Constitutions divide into those that provide for a constitutionally protected set of rights, where courts can strike down legislation, and those where rights are protected predominantly by parliament, where courts can interpret legislation to protect rights, but cannot strike down legislation. The UK's Human Rights Act 1998 is regarded as an example of a commonwealth model of rights protections. It is justified as a new form of protection of rights which promotes dialogue between the legislature and the courts - dialogue being seen not just as a better means of protecting rights, but as a new form of constitutionalism occupying a middle ground between legal and political constitutionalism. 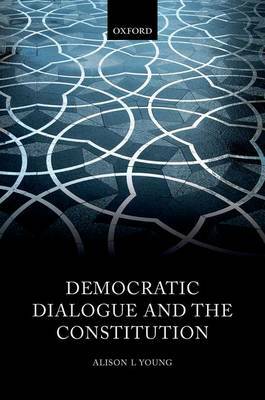 This book argues that there is no clear middle ground for dialogue to occupy, with most theories of legal and political constitutionalism combining legal and political protections, as well as providing an account of interactions between the legislature and the judiciary. Nevertheless, dialogue has a role to play. It differs from legal and political constitutionalism in terms of the assumptions on which it is based and the questions it asks. It focuses on analysing mechanisms of inter-institutional interactions, and assessing when these interactions can provide a better protection of rights, facilitate deliberation, engage citizens, and act as an effective check and balance between institutions of the constitution. This book evaluates dialogue in the UK constitution, assessing the protection of human rights through the Human Rights Act 1998, the common law, and EU law. It also evaluates court-court dialogue between the UK court, the European Court of Justice, and the European Court of Human Rights. The conclusion evaluates the implications of the proposed British Bill of Rights and the referendum decision to leave the European Union.